It was Summer of 2001. I was about to enter my senior year of high school and was going out with a girl named Lisa who had absolutely no idea what to make of my goofy geeky-interests which consisted of comic books, pro wrestling, and toys. 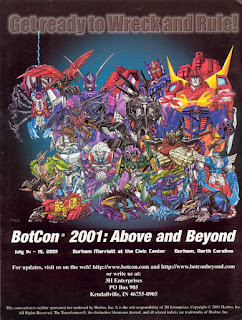 But front and center that summer was a trip to Raleigh/Durham in North Carolina for the annual Transformers convention, Botcon. 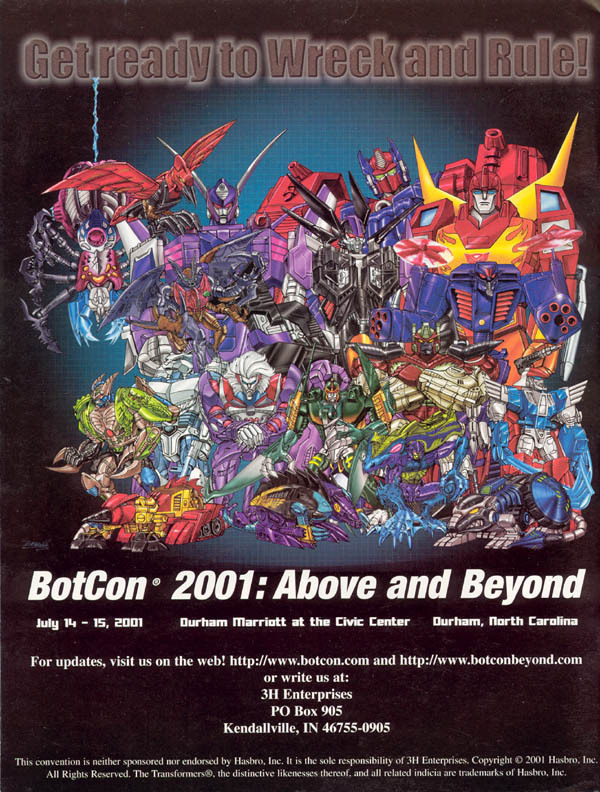 I was a HUGE Transformers fan, so naturally the convention was a must-attend destination for me. I had attended the 1997 show, so I kinda knew what to expect. See, I've had literally every release or a copy of every release of the movie, and I can honestly say Shout Factory's release is the very best to date. As someone who's watched the bluray itself, I can attest that the 4K transfer brings out the best in the colors int he characters and backgrounds of this movie. Especially anytime you see Unicron floating around or a transforming scene. Considering the amount of colors and elaborate fight scenes, the transfer actually makes it much clearer to see what's going on. Whereas previously release, specifically a vhs release from FHE and Rhino, it was easy for the prints to be a little sloppy. Shout! 's release actually comes from a 35mm print and thanks to the aforementioned 4k transfer process, looks as pristine and clear as you can get. 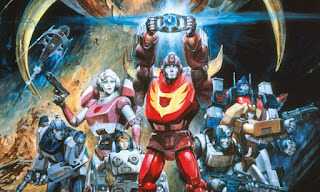 So Transformers fans, when you're watching Optimus Prime die, you'll be brought to tears even more. Maybe tears of joy over how good at looks too. 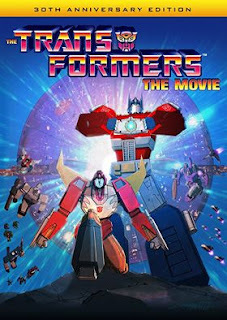 "NEW 'Til All Are One – The Comprehensive Documentary Looking Back At The Transformers: The Movie With Members Of The Cast And Crew, Including Story Consultant Flint Dille, Cast Members Gregg Berger, Susan Blu, Neil Ross, Dan Gilvezan, Singer/Songwriter Stan Bush, Composer Vince DiCola And Others! 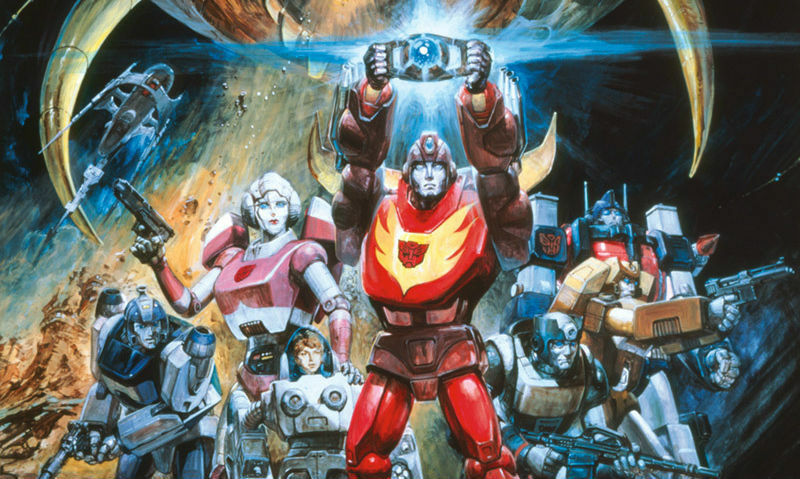 Archival Featurettes – "The Death Of Optimus Prime," "The Cast & Characters," And "Transformers Q&A"
Ok, so Scream usually gives us some sweet extras. Past releases from Sony and Rhino have had some ok features, including a few making of brief entertaining featurettes on a few parts of the movie, but nothing too amazing. What I really was excited to see was the documentary of the entire movie. Featuring writers, cast and even the musicians, it's a solid documentary that is worth the price tag! The commentary is a lot of fun to listen to if you wanna pick up some knowledge from the visionary director, Nelson Shin, who made sure to make this movie as big of a spectacle as he could. Indeed, I never noticed before how he designated certain colors to both Autobots and Decepticons as a way to distinguish their behavior and moods. A lot of great stuff is hidden in this commentary and as fans, should be listened too! The trailers and TV spots are also a great feature, as well as throwback/archival featurettes features from the Sony release. The extras alone should make you want to pick this up! Oh come on! If you're not a fan of the main cover, you've gotta love this one! Sweet deal! For the 24.93 price tag, you're getting a sweet deal. Trust me. I can't suggest this movie to you any higher if I wanted to. As a Transformers fan, nothing makes me happier than seeing this finally hit US soil, after being only available on bluray via imports for years. But it's here. Order from Shout! today and enjoy the beauty of this movie! And remember...you got the Touch! Now, time to roll out, Autobots! Till All Are One! Did you know that you can create short links with Shortest and make $$$$$$ for every click on your short urls.